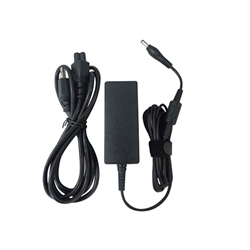 Description: New 45 watt high quality aftermarket ac adapter charger & power cord. Input: 100-240V~1.3A, Output: 19V - 2.37A. Compatible Part #'s: PA3822E-1AC3, PA3822U-1ACA. Toshiba Satellite C640D, C645D, C650D, C655D, C670D, C675D, C850D, C855D, E45T, E55, E55D, E55DT, E55T, L740, L745, L750D, L755D, T210, T210D, T215D, T230, T230D, T235, T235D.